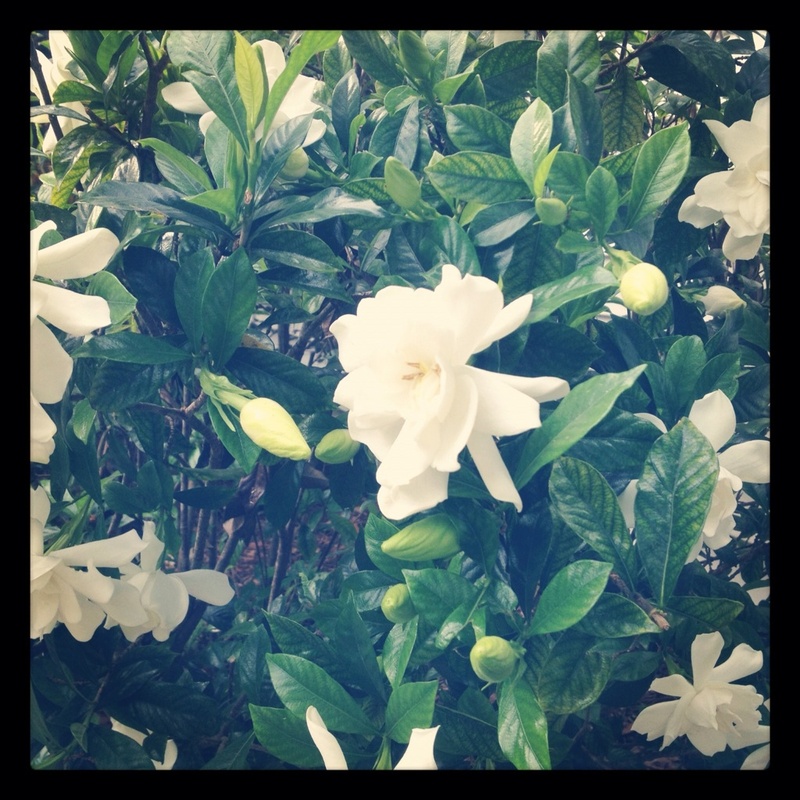 Years ago, when I moved into my house, my friend Anne gave me a gardenia as a housewarming gift. As a Northern girl, I didn’t grow up with gardenias, or for that matter, know much at all about many plants, trees, or flowers. One of the things I love most about the South is the working knowledge so many folks have with the trees, plants, flowers, fruits, and vegetables that grow so abundantly here in the heat. Anne planted the gardenia very purposely right near my front door, and every year, I forget about it, until the first hot days of spring arrive, the white buds burst open, and the sweet, heady, heavenly smell envelops my senses and yard. Anne gave me that gardenia, in part, because her Grandma whom she had adored and lost just before we became friends, loved them. After enduring nearly simultaneous breakups, Anne and I solidified a lifetime friendship by licking our wounds, mending our hearts, perfecting our sarcasm, making dinner, and laughing over cocktails. In fact, I think the other reason she gave me the gardenia was to remind me of what flourishes and flowers even in the most extreme conditions. Friendship endures…like those blooms it seems….wonderful post! Gardenias’ sweetness permeates our souls. Alluring and soothing. And when coupled this time of year with her fellow scented ladies, the magnolia grandiflora, and Confederate jasmine, we are all lost in a sea of scents and suffused with memory, floating on the breeze. Beautiful, Cheryl! Thanks for the gorgeous imagery. Anne is such a good friend to have in our lives.